Socks, either thigh high or knee high help spicing up any outfit. They are a flexible fashion accessory that compliment every type of the body. You can wear the same pair of stockings every day yet create a totally alluring outfit. To look your best; consider the shape of your legs before choosing socks. Some legs carry knee high socks better than thigh high socks whereas some look good either ways. Socks keep your body warm & dry from perspiration. They allow creativity and help you build your favorite layered outfit. Thigh high socks & knee high socks are a great medium to ensure structured clothing that prepare your personality for environments that respect dress codes such as office or formal gatherings. However, they demand you to be clever when making a choice between the both. Falling for the wrong counterpart can make you look childish and or bulky. For instance thigh high socks are good to skim the muscles and fat whereas knee high socks make lean legs look perfect. When to Wear Thigh High Socks..
Thigh high socks draw eye upwards and away from the bulky calves. 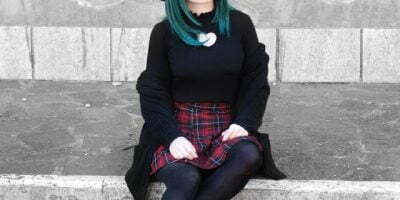 Thigh high socks are recommended to women with short legs since they cover more than 80% of your legs where the rest of your legs is covered by your skirt or shorts. Thigh high socks that match the tone of your skin help elongate bulky legs. Stick to soft woolen thigh high socks with rib knit patterns to visually slim down your legs. When to Wear Knee High Socks..
Knee high socks are chic and trendy. They may be a school girl’s choice yet a preferred street style of many. Knee high socks draw attention towards your calves as the hem sit just exactly where your legs meet the knees. Legs that are straight and lean look best with knee high and thigh high socks. Knee high socks are a complement to uniform costumes and cosplays. 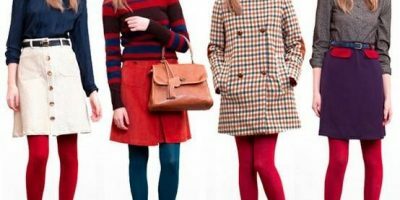 Though it is a personal preference, following unanimous fashion assessments will help you build your wardrobe using tights & socks wisely.